Our Redditch based tax advisors will help you to understand the tax implications of your actions, in order that you can plan ahead and conduct your affairs in a tax efficient way. Under Corporation Tax Self Assessment (CTSA), the legal responsibility for correctly calculating the corporation tax liability falls on business owners. We understand the issues facing owner-managed businesses and prepare tax returns in a timely and efficient manner. We also calculate your company’s tax liability and assist with the calculation of any quarterly installment payments. Increased reporting obligations, investigation policies on the part of the tax authorities and harsher penalties for non-compliance mean that your time and resources can be taken up with tax administration. We help to minimise corporate tax exposure and relieve the administrative burden of compliance with current tax legislation. Effective corporate tax planning can also result in significant improvements in your bottom line no matter whether you are an established business or starting up a business. We have the expertise and software to take the headache out of the form filling and compliance aspect of Self Assessment. 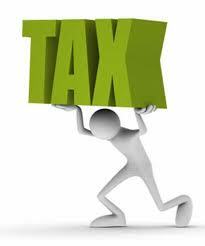 We also provide you with practical advice on personal tax positions and the planning opportunities available to you. We complete tax returns, calculate any tax liability and advise you on exactly when to make payments and how much to pay. Today, more and more emphasis is being put on taxpayers’ individual responsibilities and everyone who is subject to taxation needs professional advice and support if they are to optimise their tax position and ensure they meet the compliance requirements. Our specialist tax team provide you with year-round advice on all aspects of personal taxation. This means making the necessary provisions now. There are many tax opportunities available and the earlier arrangements are made, the greater the chance of taking full advantage of our complicated tax system. We also have expertise in dealing with trusts; a relatively easy and very tax efficient way to set aside assets for future beneficiaries outside the inheritance tax net. We advise on the most suitable type of trust to fulfill your wishes, assist in setting up the trust and provide the full range of accounting services required for trust management. Ever changing regulations and the growing demands of HM Revenue & Customs mean VAT compliance can be a difficult administrative process. We help to ensure that you comply with the regulations and that overpayments are not made. Being the subject of a tax investigation by the HM Revenue & Customs can be a stressful and worrying experience. With the onset of personal and corporate self-assessment, Revenue staff can now review cases on a ‘sample basis’; consequently, tax investigations have become more frequent. We have a wealth of experience in dealing with HM Revenue & Customs investigations, whether they are enquiries into an individual’s Tax Return under the Self Assessment regime, more detailed enquiries or employer-related investigations into PAYE and P11d compliance. If you are about to be the subject of an investigation, we can provide expert help and support. With the increased risk of such investigations it may be worth considering taking out an annual insurance policy to protect you and your business from unexpected costs; an investigation will undoubtedly result in additional accountancy work being undertaken. The amount of work will depend upon the complexity of the case but the cost could be substantial.